In terms of obtaining oil to a greater extent, 56 percent will come from traditional olive groves, which account for almost 74 percent of the planet’s surface, 36 percent would be obtained from 21 percent of intensive olive groves, and to conclude, the remaining 8 percent, will come from superintensive olive trees, which already account for 4.8 percent of the total area of ​​olive groves worldwide. Although olive oil is produced in 58 countries (which have all been analyzed), only 10 will generate 93 percent of the world’s olive oil. In ascending order, Argentina, immersed in a plan to drive the sector, will grow the next campaign by 3.45% reaching 45 thousand tons, for its part, Syria for political and climatic reasons drops to 80 thousand tons (-20% ), Algeria manifests a growth that coincides with the expansion of cultivation in that country, as well as, by the abundant rains of spring, reaching up to 95 thousand tons, (+ 19%), Portugal, one of the countries where the expansion of the cultivation is being of greater degree, together with an adequate climatology, it would experience an increase of almost 4%, reaching 140 thousand tons, Morocco for its part, due to its expansion project for olive growing, together with the good climate that occurred for this crop in the neighboring country, could reach 155 thousand tons, experiencing a growth of almost 11 percent. 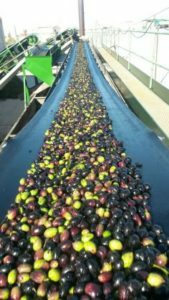 Following with Turkey, where the rains have not been so copious, and in addition a small increase in the destiny of olive of almazara to conserves is anticipated, the production could be of 200 thousand tons, assuming a fall of the 24 percent, on the other hand Tunisia after a record harvest and adverse weather, its production will be reduced to 230 thousand tons, which corresponds to a break of almost 18% compared to last season. If we refer to Greece, although rainfall has been rational, there is a recession in production, because the last season was quite high, in this case could produce about 305 thousand tons (-11%). 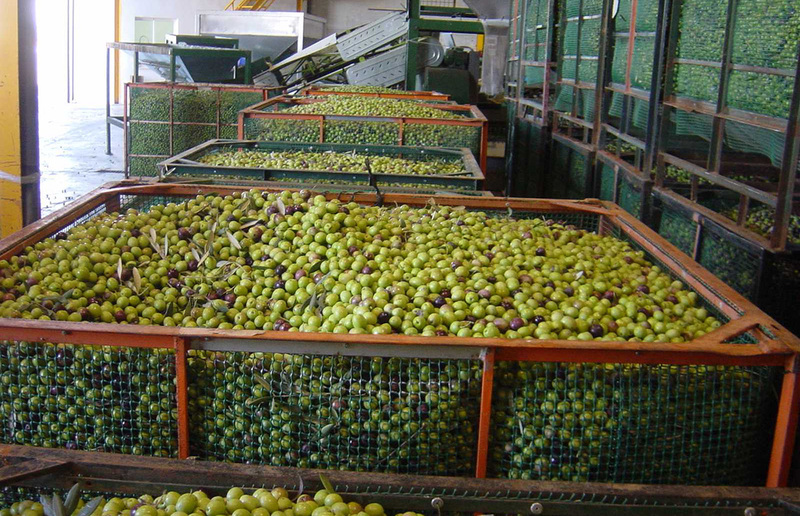 To conclude Italy, where some areas have been affected by severe cold, although the weather has not been in relation to adverse rainfall, the next campaign could reach 310 thousand tons (-28%), in relation to Spain the climatology has been adequate, last season not particularly high, and also a small part of table olives could possibly be destined to mill, obtaining an approximate production of 1.6 million tons, which would mean an increase of 28%. The evolution in the other countries is very similar to last year. Consumption, according to the analysis of moving averages carried out for the last 20 years, grows at a rate of 6.4% for averages of decades, although this growth has its peculiarities, large producers or mature markets (Spain, Italy , Greece, etc.) decrease in consumption, both structural (for reasons of change in the tonic of demand behavior, decrease in the use of olive oils in hotels, restaurants and communities, and falling demand in the agro-food processing company ), as circumstantial, (price factor fundamentally), on the other hand non-producing countries (led by Canada, Germany, Russia and the United Kingdom) continue their gradual growth, which together with the other producer countries neutralize the fall in demand in the mature markets, yielding a net balance of growth of 6.4%, from average of decade to middle of decade. According to the current trend of slight price decline, and given that the next campaign would only represent a growth of 1% compared to the previous one, this would cause short-term consumption, in both mature and non-mature markets, to expand from an equilibrium price, (as long as the rest of the magnitudes and circumstances are maintained) gradually absorbing the integrated production. If this scenario occurs, the oscillations would be of gradual decrease until finding the mentioned equilibrium of reactivation of lost conjunctural demand, via price elasticity, oscillating these in a range of between 2.5 and 2.2 euros kg in origin of average until beginning the next spring. There could be some tension in them with the beginning of the next campaign. In the same way, the fluidity in the supply of the market, as well as the promotion of consumption, is vital in all markets, especially mature ones.